Families always have the option to provide transportation for their loved one to scheduled appointments, or they can elect to arrange for transportation services through Twin Cedars. Our community provides transportation to and from medical appointments within the county and within a one hour radius of Twin Cedars. Our trained and qualified staff will transport your loved one to physician appointments in our Honda CRV vehicle and ensure their safety into the office. Assistance with completing physician visit forms will be provided as well as assistance with handling all insurance cards. Our personnel will go into the appointment, if necessary, to speak with the physician and communicate the reason for the visit, and handle new prescriptions and doctor’s orders. Private transportation can be arranged at least a week in advance by our transportation department. 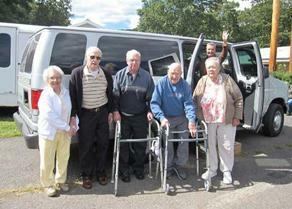 All residents utilizing our transportation services must be ambulatory. 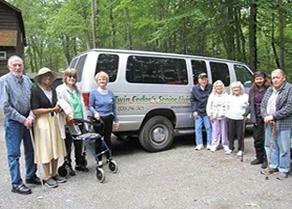 Group transportation is provided during organized trips planned by our activities department. Weekly trips occur taking our residents to exciting locations in the area, including local museums, historical points of interest, art galleries, restaurants, shopping, movies and theater.